The new X800D-U 8" Advanced DAB+ Navi Station you can intergrate into your Audi A4 dash with a premium, clean and professional finish. A4-X800D includes: X800D-U Advanced Navi Station, Audi A4 Kit 2001-2008* with 8" Premium Navigation, MFD Display interface and Steering Wheel Controls. 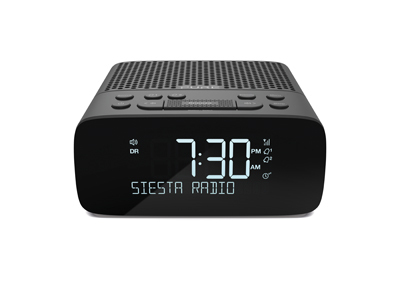 Siesta S2 is the ideal bedside radio from Pure, with DAB/DAB+ and FM, you can wake to all of your favourite radio stations in crystal clear quality. The large, edgeless, CrystalVue display allows you to read the time or radio information from anywhere in the room. User friendly controls and a large textured snooze button allow you to operate Siesta S2 with minimal effort. Integrate the 6.1” Advanced Navi Station into your Cruze dash with a premium, clean and professional finish. Embrace the spirit of Yamaha's motorcycle team with audio inspired by the iconic design and colour of their road bikes. Enjoy wireless playback from your smartphone, tablet or PC effortlessly with Bluetooth® technology. 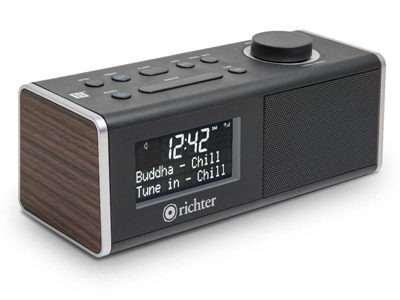 In addition to the CD player, USB and Digital DAB+/FM radio, it has an AUX-in terminal for connecting a PC or portable device, giving you music enjoyment from a variety of sources in one unit. An on-board USB port allows you to charge your smartphone or tablet too! Integrate the 7” Advanced Navi Station into your Touareg dash with a premium, clean and professional finish. 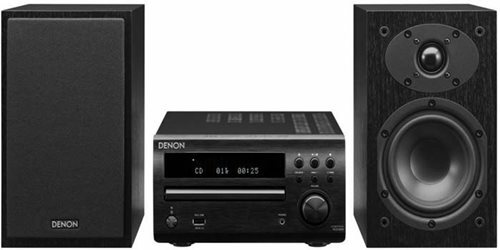 The Denon DM39DAB Micro Component System packs outstanding sound quality and broad connectivity into a compact frame. Equipped with a powerful amplifier section and two premium speakers, this audio system delivers clean, faithful, and rich audio performance. 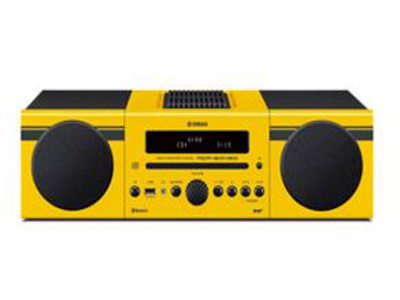 The system also features a built-in CD player, a DAB Radio Tuner and supports connections to HDTVs, Blu-ray players, MP3 players, thumb drives, and a variety of other devices. the UP-DT1 is delivering a robust digital audio signal to the universal port on your compatible Onkyo receiver, the receiver in turn powers the tuner through the same convenient cable. The TX-SR577 home theatre receiver combines superb video processing, convenient connectivity and 7.1 channels of spectacular high-definition audio. 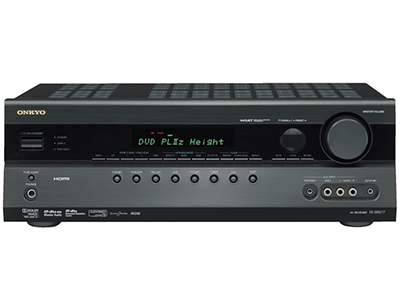 Rounding out this versatile A/V receiver is a rear-side universal port that lets you connect an optional Onkyo Dock for the iPhone & iPod or Onkyo DAB+ Radio Tuner. The look of the R2 exudes style, but sonically it’s equally impressive with our custom made high-fidelity speakers and electronics providing a scale and quality of sound that simply belie the R2's discreet dimensions. 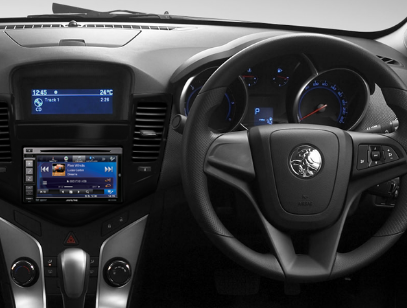 This feature packed DAB+ / FM radio system includes integrated iPod dock and full function remote control. The 20 watts nominal output and 3D enhanced sound processing really do deliver incredibly detailed and engaging sound. Arguably the best sounding iPod dock on the market, just listen for yourself! 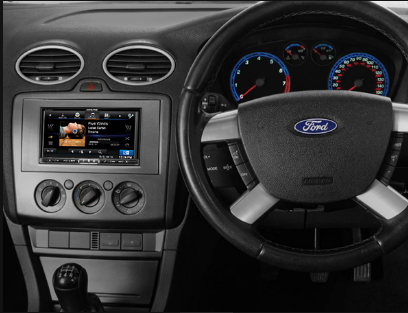 Integrate the 7” Advanced Navi Station into your Ford dash with a premium, clean and professional finish. Suits vehicles Fiesta 2004-2008, Focus 2005-2008, Focus 2011 onwards. Ford Mondeo 2007 onwards. Slimline micro system with stylish mirror-finish, CD player, iPhone 5/S dock, Bluetooth/NFC streaming, powerful dynamic sound and dual passive radiators for bigger bass. The new X800D-U 8" Advanced DAB+ Navi Station you can integrate into your Volkswagen dash with a premium, clean and professional finish. Hex kits fit Golf (V/VI 2003-2013), Passat (B6/B7 2005 onwards), Jetta (V/VI 2005 onwards), CC (2008-2012), Scirocco (III 2008 onwards) and Polo (5 2009 onwards). Bracket kits fit Tiguan (2007 onwards), Amarok (2010 onwards), Beetle (2012 onwards) and Caddy (2003 onwards). The X800D-U makes in-car entertainment a bigger and better experience with its stunning 43% larger 8" touch display, and with Alpine's Perfect FIT Dash Kit it seamlessly integrates with Volkswagen vehicles providing climate and park assist display interface. The VW-HEX-X800D/VW-BKT-X800D Includes: X800D-U Advanced Navi Station, Volkswagen Dash kit with 8" Premium Navigation, High Resolution Display Climate and Park Assist Interface, MFD Display Interface and Steering Wheel Controls. 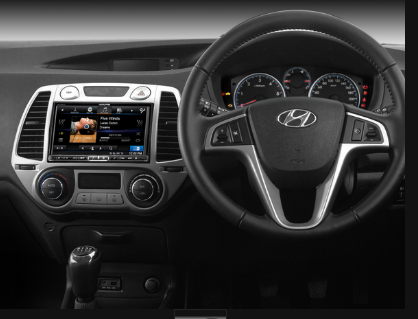 Integrate the 7” Advanced Navi Station into your i20 dash with a premium, clean and professional finish. With a large 7" WVGA screen, My Favourites easy sound setup, and built-in Bluetooth, the INE-W957A offers fast and easy access to your favourite entertainment and information sources. The built-in Bluetooth Plus provides audio streaming and full hands-free operation with access to phonebook and advanced functions. 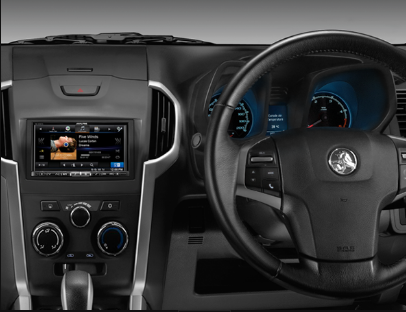 Its innovative 'One-Look Navi' allows a 50/50 split screen mode which displays navigation and the selected source for convenient operation and information at a glance. With its premium navigation you have high-res maps with live traffic updates, text-to-speech, 3D landmarks, fixed speed and red light camera alert, 4WD off road maps and an enhanced POI database. The X800D-U makes in-car entertainment a bigger and better experience with its 43% larger 8" touch screen.Enjoy stunning playback of music and video from CD/DVD, iPod/iPhone and USB, or built-in DAB+ digital Radio with the addition of RDS showing exactly what you're listening to. The HDMI input enables high resolution display of video and content output from compatible smartphones and devices, and MirrorLink lets you connect compatible devices to play music and use apps, as well as navigation. Plus, built-in Bluetooth Plus provides audio streaming and full hands-free operation with access to phonebook and advanced functions. 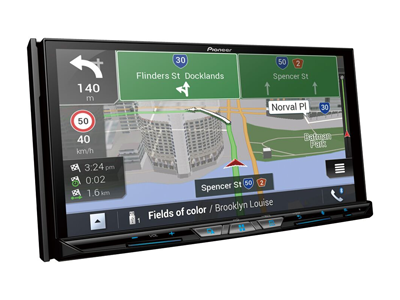 The innovative 'One-look Navi' allows a 50/50 split screen mode which displays navigation and the selected source for convenient operation and information at a glance. With its premium navigation you have high-res maps with live traffic updates, text-to-speech, 3D landmarks, fixed speed and red light camera alert, 4WD off road maps and an enhanced POI database. What's more, sound tuning options include the TuneIt app for iPhone and Android, and built-in Bass Engine SQ, allowing precise personalised tuning for the best sound quality. This outstanding radio features both FM and DAB+ station presets and an LCD display with scrolling.